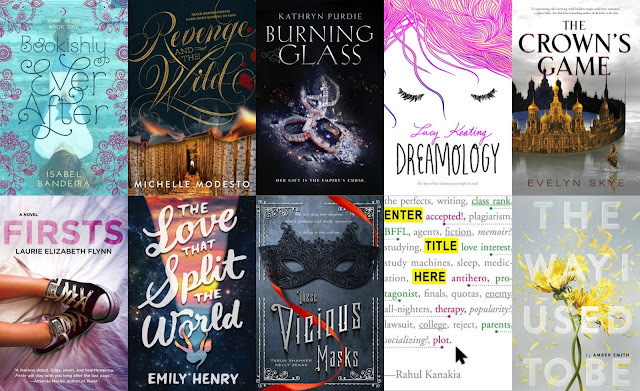 Vibin With Books: Top ten 2016 debut novels I'm looking forward to! Ahhh, these all sound so good! Not only that, but they all already have fantastic ratings on Goodreads, which I've linked above so you can read the summaries. I had Dreamology, Enter Title Here, and the Love that Split the World on mine too! But the cover for The Way I Used to Be drew me in and the story sounds sooo powerful. Same here! I saw it on goodreads and was drawn in by the cover and then completely blown away by the synopsis. I can't wait to read it! I'm intrigued by The Way I Used To Be. I've added that one to my TBR! Yes, it sounds so good!! I would read any one of these. I just discovered Enter Title Here today and added it to my TBR. Yes! to The Way I Used To Be!!! I considered a lot of the same books for my list (and picked some of the same ones as well). Plus, I see more books to add to my TBR list. Thanks!!! Here is my TTT list. I feel like a lot of people have used the same books! Clearly great minds think alike :) And also Goodreads just so happened to have a 2016-debut-authors list that I checked out. Great list! I can't wait for The Vicious Masks either.